Chrome just celebrated its 10th birthday earlier this month, and even though it’s not quite the super fast and lightweight web browser that made people fall in love with it a decade ago, Google hasn’t stopped trying to cram new features into Chrome. 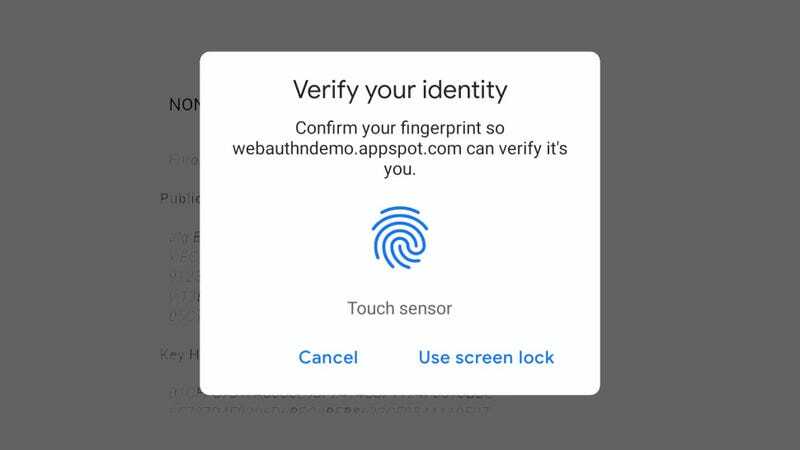 In the newest version of the Chrome 70 beta, Google hopes to make logging into websites a little easier by allowing Chrome to use your Android or Mac device’s fingerprint reader as a form of two-factor authentication. Yes, it’s not quite a complete way to get rid of passwords, but it’s a start. For those times you do need to enter a password or some other sensitive information, Chrome 70 will also automatically exit fullscreen mode whenever a page with a dialog box pops up, which includes anytime a website asks you to enter an address, credit card info, or other authentication prompts. The second big change in the Chrome 70 beta is a trial run for Google’s Shape Detection API, which allows Chrome to detect and recognize things like faces, barcodes, and text within images. This should help improve features that rely on OCR (onscreen character recognition) so that you could more easily turn a photo of a text document into a PDF, or simply make it easier to scan in a QR code without needing to pull out a second device.